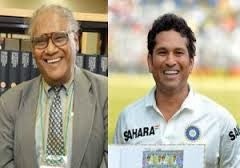 1) Sachin & CN Rao to be honoured with Bharat Ratna Award: Centre on Saturday announced that it was conferring the Bharat Ratna on Sachin Tendulkar within hours of the cricket legend hanging up his boots. He becomes the first sportsperson & the youngest person to receive the nation’s highest civilian honour. Eminent scientist C. N. R. Rao has also been conferred the award. 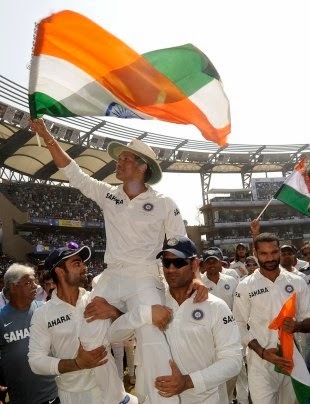 The Government release said Tendulkar’s achievements in cricket were unparalleled, the records set by him unmatched, and the spirit of sportsmanship displayed by him exemplary. “That he has been honoured with several awards is a testimony to his extraordinary brilliance as a sportsman,” the PMO said. C. N. R. Rao is an international authority on solid state and materials chemistry. “He has published over 1,400 research papers and 45 books,” the PMO noted, and said his contributions have been recognised by major scientific academies around the world through conferment of memberships and fellowships. 2) Tendulkar era ends with tears on million eyes: Curtain came down on Sachin Tendulkar's storied Test career with one of India's most comprehensive victories, as a hapless West Indies crumbled on the third morning in Mumbai. Tendulkar walked off the field with a tear in his eye and to a fluid guard of honour from his team-mates, soaking in the cheers of the Wankhede crowd one last time. Sachin Tendulkar has been the most complete batsman of his time, the most prolific runmaker of all time, and arguably the biggest cricket icon the game has ever known. His batting is based on the purest principles: perfect balance, economy of movement, precision in stroke-making, and that intangible quality given only to geniuses - anticipation. He has almost all the records the game of cricket has under his name. 3) India won the test series against West Indies 2-0: Pragyan Ojha took his second five-for of the match, and Ashwin finished with seven in the match as India swept the series against West Indies 2-0. Pragyan Ojha was adjudged the Man of the Match whereas Rohit Sharma got the Man of the Series award. 4) ISRO performed last orbit raising manoeuvre on its Mars mission: Indian Space Research Organisation (ISRO) performed the last of the five orbit-raising manoeuvre on its Mars Orbiter in the early hours, raising the apogee (farthest point from Earth) of the spacecraft to over 1.92 lakh km. 5) China to cut size of military under new reforms: China has announced plans to cut the size of its 2.3 million strong military by reducing the number of non-combatant personnel in the People’s Liberation Army. 6) Anti-doping agency doubles ban for first offence to 4 years: Drug cheats will be kept out of at least one Olympics after WADA doubled the ban for a first offence from two years to four, the key change to the global fight against doping in sports. 7) Now, Sachin is Time magazine's Person of the Week: Global adulation continued to pour in for Sachin Tendulkar, as after being named Person of the Moment, Time magazine has now conferred the retiring batting legend with the ‘Person of the Week’ honour. 8) Rajeev Bhargava takes charge as GM-SWR: Rajeev Bhargava has taken charge as General Manager of South Western Railway. He took charge from A.K. Mital, who has been appointed as Member (Staff), Railway Board, New Delhi. 9) INS Vikramaditya was commissioned into the Indian Navy after 5 years delay: A new era has dawned in India's naval combat capabilities. 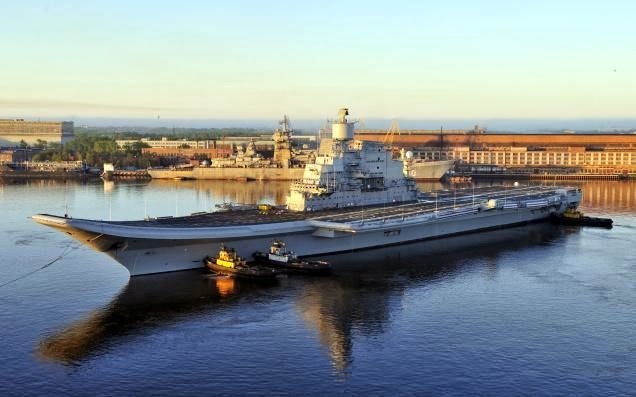 Aircraft carrier INS Vikramaditya was commissioned into the Indian Navy at a Russian shipyard on Saturday, ending a five-year delay to the $2.33 billion project. The 44,570-tonne carrier, which will operate supersonic MiG-29K fighters from its deck, is the largest-ever warship to be inducted by India, as also the most expensive single military platform ever bought. India's solitary carrier till now, the 55-year-old INS Viraat, will now be a poor second at 28,000-tonne. Earlier called Admiral Gorshkov, INS Vikramaditya was commissioned at the Sevmash Shipyard in northern Arctic at a ceremony attended by defence minister A K Antony, Russian deputy prime minister Dmitry Rogozin and senior officials of the two countries. 10) Abdulla Yameen will be sworn in as the Maldives' new president : Abdulla Yameen will be sworn in as the Maldives' new president on Sunday after his shocking win over former leader Mohamed Nasheed, drawing a line under a bout of turmoil on the paradise islands. 11) India jump to 2nd in Test rankings after 2-0 win over West Indies: India jumped one place to second on the Reliance ICC Test Team Rankings table after winning the two-Test series against the West Indies 2-0 in Mumbai on Saturday. 12) International Day for Tolerance observed on 16 November: International Day for Tolerance was observed on 16 November 2013 across the world to educate people about the need for tolerance in society and to aware them about the dangers of intolerance. 13) 22nd Commonwealth Heads Of Government Meeting (CHOGM) began in Colombo, Sri Lanka: The 22nd Commonwealth Heads of Government Meeting, CHOGM began in Colombo, Sri Lanka on 15 November 2013. The Summit was inaugurated by Prince Charles of England, who is representing Queen Elizabeth at the Commonwealth Summit. The theme for CHOGM 2013 is Growth with Equity; Inclusive Development. 15) World Chess Championship: Carlsen beats Anand in Game 6 to take 4-2 lead: World champion Viswanathan Anand struggled once again with his white pieces and suffered a painful defeat against challenger Magnus Carlsen of Norway in the sixth game of the World Chess Championship on Saturday.